What is the difference between a dog trainer and a dog trainer/instructor? A good dog trainer should be able to train any dog that comes his or her way. A professional dog trainer/instructor can not only train the dog but, can effectively instruct the dog’s owner to be their dog’s trainer. While working with a dog, it is the trainer who develops the relationship and bond with the dog. It is for this reason that we believe that training the dog’s owner to train their own dog is the best way to achieving long lasting training results. That is the basis for Cara Putnam’s Crossroads School of Dog Training’s professional dog trainer/Instructor course. As a student trainer, you will not only learn how to train all types of dogs, but will also be able to instruct other people how to train their dogs. Student Instructors are taken one at a time. You will be working side by side with a world class trainer and successful dog training business owner. 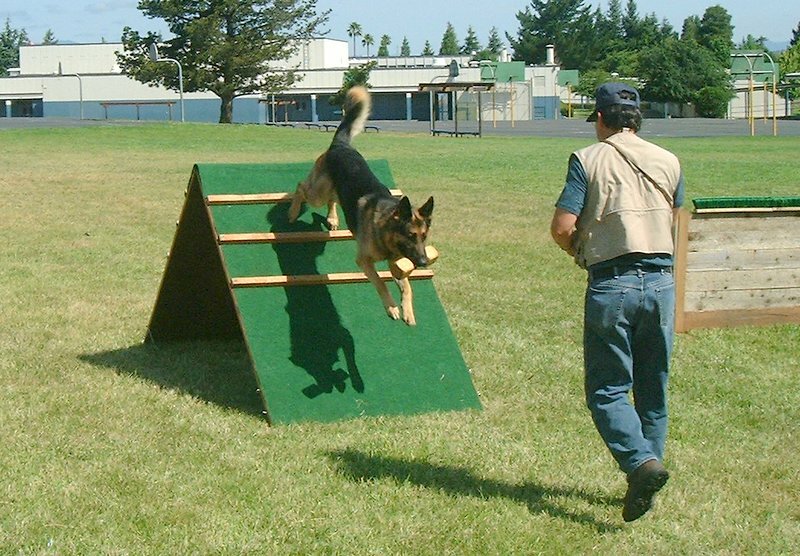 Pre-requisite: complete our adult dog training program which includes 10 private lessons in basic dog obedience. From there your proficiency will be assessed as to whether or not you would be accepted as a student instructor.